Former Minister Johnston Fernando and two others remanded in connection with the misappropriation of Rs. 5.2 million public funds have filed a revision application in the Court of Appeal. They are challenging the Kurunegala High Court order to remand them until the conclusion of the trial. 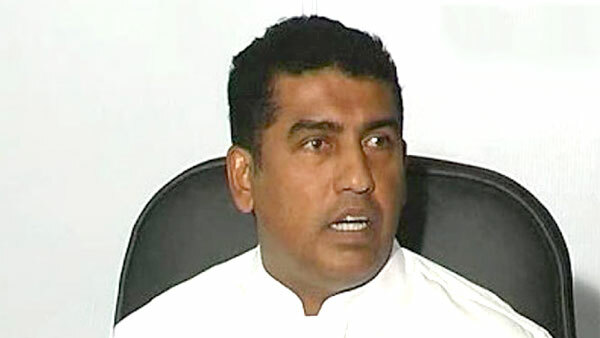 Filing a revision petition through their lawyers, former minister Johnston Fernando and two others requested Court to revise and set aside the Kurunegala High Court order to refuse bail and sought an Interim Order to grant them bail. On September 3, Kurunegala High Court issued an order to remand former Minister Johnston Fernando, former Lak Sathosa Chairman K.M. Fernando and the former Minister’s Private Secretary Raj Mohideen Mohamod Sakeer, until the conclusion of the trial. When the revision petition came up before the Court of Appeal Judge Justice Janak de Silva and Justice Achala Wengappuli, the petition was fixed for support today (12). President's Counsel Romesh de Silva appearing for Johnston Fernando told court that the High Court Judge made an order to remand the accused without legal basis. Senior State Counsel Naomi Wickremasekara appearing for the Attorney General told court that she needs to obtain advice from the Attorney General. The three suspects had been charged under the Public Property Act. The Attorney General alleged that Johnston Fernando as the then Minister in charge of the Co-operative Wholesale Establishment (CWE) had allegedly ordered that goods worth over Rs. 5.2 million be released from three CWE warehouses in Yanthampalawa, Wehera and Mallawapitiya in the Kurunegala district during the North Western Provincial Council Election in September 2013.